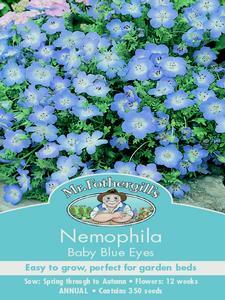 Delicate little plants with bright and vivid light blue flowers. An ideal addition torockeries, hanging baskets or other containers where their hardiness and dry-tolerance ensures a good display. 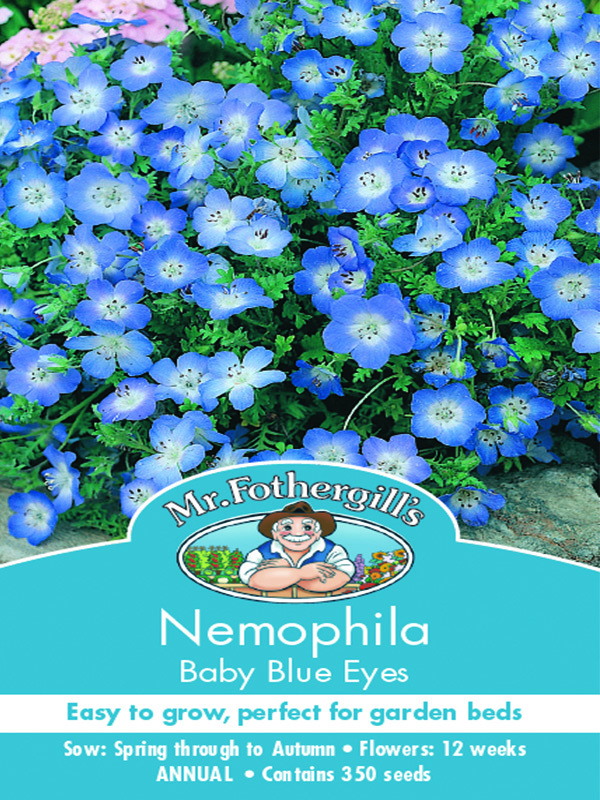 We hope you enjoy theseNemophilaseeds, just another great example of flower seeds from MrFothergill’s! Sow thinly, 0.25in (0.5cm) deep in flowering position. Keep soil moist. Thin out to 4in. (10cm) apart. Make 2 or 3 sowings at intervals for a longer flowering season. Remove deadheads to prolong flowering period.